Nowadays, almost of all our electronic gadgets at home are powered by lithium-ion batteries. And it comes with a very good reason. Lithium-ion batteries can store large amount of energy with very little space but is flammable and can easily be damaged. These conventional batteries have liquids or a gel electrolyte in between its two electrodes and it is where the charges move. Researchers from ETH Zurich developed a lithium-ion battery made out of only solid materials. These solid batteries don’t have gel electrolytes or liquids. And the absence of these liquids prevents the battery from bursting into flames or swelling up. Jennifer Rupp, the leader of this study, explained that solid materials don’t catch fire even when heated up to a higher temperature. Also, with a higher temperature, the ions of the lithium can move around the battery better. The researchers also found a way on how to connect and circulate the energy of the electrodes and electrolytes with minimum resistance possible. 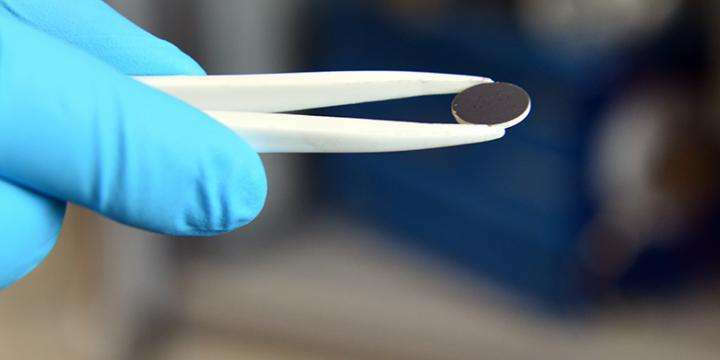 The researchers used the lithium garnet electrolyte, which has the highest known conductivity for solid lithium ions, to connect the electrode and the lithium. The next improvement for this new type of battery is to decrease the resistance of the electrode-electrolyte interface to improve its conductivity.Want to know more about this awesome device? Follow this Link!